Thought it would be a good idea to have a place where members can post up pics of the first celica they owned, also a link to any old build or mod threads connected to that car. Anyway here's my first celica, a 25th anniversary gen 6, loved this car and I'm now on my 3rd celica. Well this is one of the only pictures I can find of my first Celica. A 2003 thunder grey 190 T Sport. 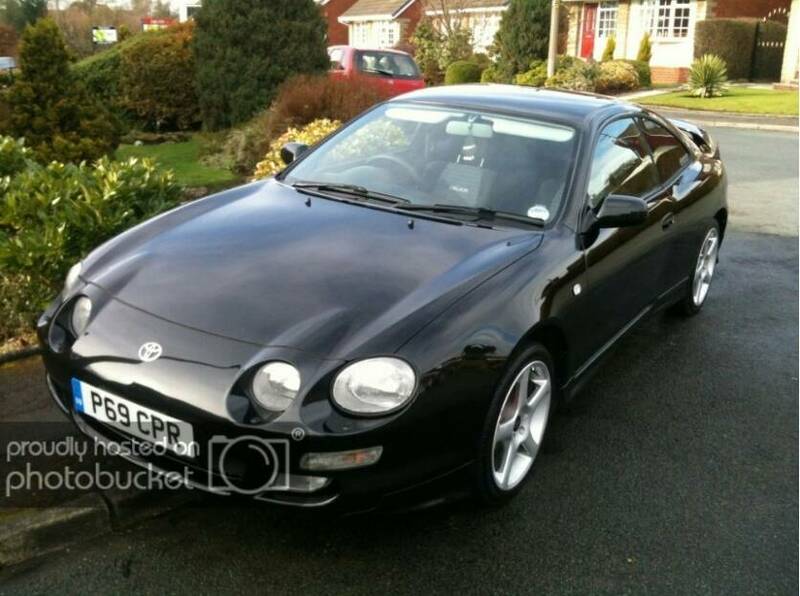 This was black beauty my firsy ever celica bought in 2015 for £600. It was a st 2.0 automatic import. it was immaculate inside and out. i loved how the badges and logo were gold instead of silver and the sports button!!! First Celica is the one i still have now,around 10 years on. A Gen5 GT-R and an ST205 GT4 I had at points as well,but the gen4 remains Its evolved a little over the years. Here's my first of 12 Celicas I have had , still got three of them , I have consistently owned at least one Celica for the past 30 years ! Proper bloke,30 years of having a Celica about. Was good of your neighbour opposite to let you park your Robin Reliant outside his house as well Kev. Well I'm very new to Celica ownership, a few friends have had st182 and a carlos sainz but I went down a different path. So my first and hopefully long lasting Celica is my current st205 which I bought from a friend's wife in November. She wanted something more reliable and I couldn't let the chance slip. Only driven it about 500 miles so far and chucked about 2k at it for major service and a few other fixes, which seems to be par for the course in gt4 ownership. So far loving the smooth suspension and ease of driving. Plan is to just keep it well maintained, tidy it up and use it as my main car. Still got a couple of MR2s for playing with mods. err excuse the purple, I will get round to turning those parts black at some point or at least removing the spats and skirts. St205 '95 Jap import, no abs, almost fully stock. I'm into standard cars so slowly demodding it at the moment. Got the original alloys back on and Stewpot was kind enough to sell me a stock exhaust. I need a few other cosmetic bits and then I can start under the bonnet before it gets the rust removed and a fresh coat of paint.